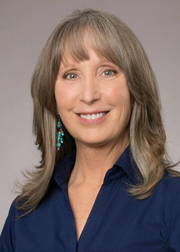 Nancy is passionate about her work and service as a real estate professional. As a Denver native, she has witnessed Denver's transformation and has a deep understanding of the urban landscape, reaching beyond city limits. Through her personal experience of buying and selling several of her own homes she has gained a sensitivity towards her client’s journey. Serving in multiple capacities in the real estate industry for over 20 years, she has built her knowledge of both the front and back side of real estate. Closing smooth sales for buyers and sellers across many types of properties, price ranges and areas. Nancy’s passion for design and architecture continues to grow as she works with an awarding winning Denver area home builder, thus adding pre-construction and new builds to her area of expertise. Making her customers property dreams come true is always her focus.